OK. let’s get current. 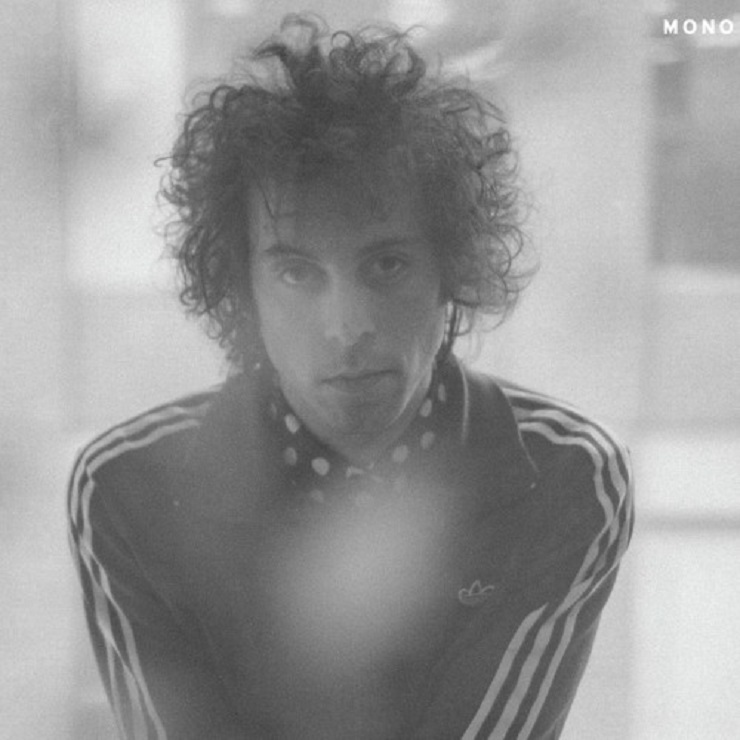 Today, May 27th, is the release date for “Mosey”, the 5th solo LP by Daniel Romano. Despite the antiquity (timelessness ?) of many of the tunes I feature here, I do listen to new music & not just as confirmation that the old music is better. The Underworld LP “Barbara Barbara We Face A Shining Future” will sit nicely on the shelf next to their 2 classic records of the mid-90s. Louie Vega’s Soulful House productions for Caron Wheeler & Cassio Ware are from the top rank. I would listen to that radio station playing Prince Rama’s contagious single “Bahia” on double heavy rotation. The only 2 tracks I had heard from “Mosey” got me handing over the hard-earned in the week before release. If there were other songs as good as “(Gone Is) All But A Quarry Of Stone” it was best that I had them around. The last 3 LPs by Daniel Romano (I don’t know 2010’s “Workin’ For The Music Man”) have established his reputation as a consummate Country & Western stylist. His harder than a heartbreak lyrics, matched to recreations from Buck Owens’ Bakersfield honky tonk & the more countrypolitan Nashville of George Jones, are assured & affecting enough to ameliorate suspicions of mere revivalism. Elements of homage & pastiche, the sequinned country threads, are balanced by a respect for & an understanding of the structure & the sentiment of how these songs went.”Hard On You”, “There Are Lines On My Face” & others are retro-modern, distinct enough to have made an impression at any time since Hank done it his way. Romano called this music Mosey, a place he was “the King of…”. This new collection indicates that Mosey is a little further from Nashville than we thought. The opener, “Valerie Leon”, is an uptempo theme to an imaginary Western, more Elmer Bernstein than Morricone, expansive orchestration, a touch of Tex-Mex but not the full mariachi. “I Had To Hide Your Poem In A Song” is a dramatic Blues. Romano is augmenting his Country music with other American roots influences, the result is looser, dramatic & surprising. The songs are still a catalogue of torment & tribulation, no longer limited by the strictures of his chosen genre they are heavy on atmosphere. The choruses are less obvious but still, when they come, captivating. Daniel Romano is a fine songwriter. I’m going to, like everyone else, check for Lee Hazlewood here. Romano’s baritone, Western fatalism with a dry humour & new palette does bring the master to mind. That’s some good company to keep. For the album cover & the “(Gone Is)…” video Daniel has swapped sartorial dudeism for an Adidas shell suit & a Bob Dylan circa-66 ‘fro. The LP version replaces the strings with a churchy organ swirl & remains a bleak delight (I do like a lament). There has always been an element of performance art about his work. I found similarities in the early work of Lyle Lovett & Tom Waits. The sentimentality & archness of his chosen field was overridden by the quality of the records. The incongruous videos, gorilla suits & sci-fi animation, were more than winks that there was more to Mr Romano than his country gentleman affectations.This new character ? We will see if he hangs around. For myself the proof is in the hearing & I’m liking what I hear. 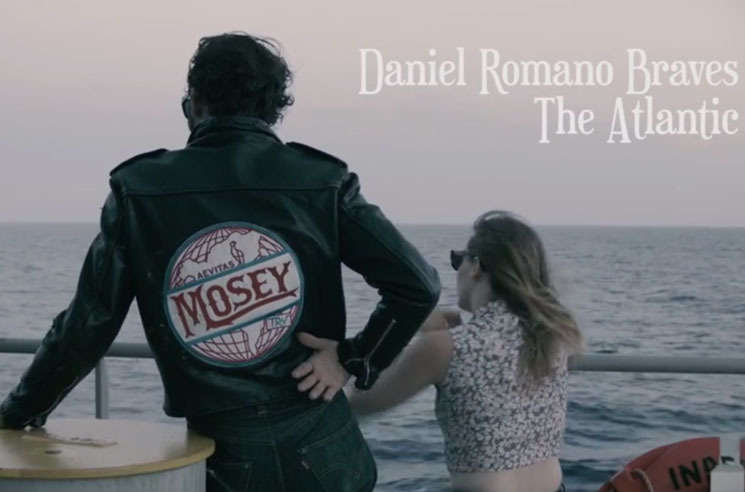 “Mosey” is a big change from Romano’s previous records. There was a tip off on “If I’ve Only One Time Askin” (2015) when “The One That Got Away (Came Back Today)” ended with an odd, almost psyche, guitar coda. There are more of these on “Mosey”. He may be ready to leave the Country but I’m not sure that all his fans will accept this shift towards a harder edge. Me, I’m an open-minded guy. If there are more songs as good as “Hunger Is A Dream You Die In”, with its backwards guitar, & the rocking closer “Dead Medium” to come then I’m happy to ride shotgun on the journey. 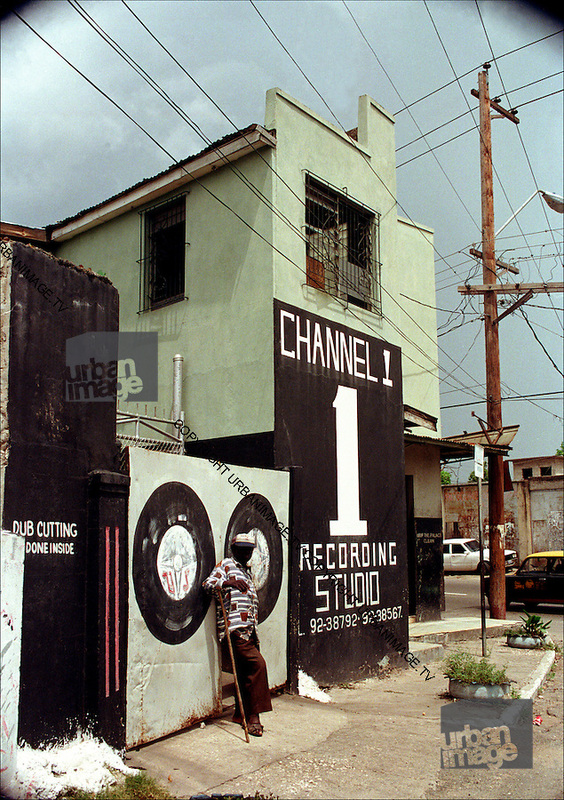 In 1975 the Hoo Kim brothers upgraded their Channel One studios on Mayfield Avenue, Kingston Jamaica from a 4-track operation to a big 16 tracks. They had splashed the cash on the technology & needed the talent to make their money back. They sent for Ossie Hibbert, keyboard player with the Aggrovators, house band for producer Bunny “Striker” Lee. Channel One hit the ground running with “Right Time” by the Mighty Diamonds. Sly Dunbar, their young drummer, had notions to experiment with & enhance the prevailing “flying cymbal” sound that Carlton “Santa” Davis had pioneered with the Aggrovators. The new, propulsive “Rockers” rhythm, influenced by disco, an assertive match for the militancy of Rasta lyrics, would carry the swing in Jamaican music for some time. There was a new studio house band around. The Revolutionaries made Channel One the place to be. Ossie Hibbert learned a lot from Lee & from King Tubby, an electrical repairman who became the sonic mastermind behind Dub versions which attracted more attention than the original tracks. Ossie, as a musician, arranger, talent scout & trainee engineer, became indispensable to the studio’s operations. His first engineering job was on an instrumental version of Roy Richards’ “Freedom Train”. While he was at the controls Robbie Shakespeare, in the process of replacing Ranchie McLean as Sly Dunbar’s bass playing rhythm partner, provided the piano part. “MPLA” by the Revolutionaries became a big tune in 1976. Jo Jo Hoo Kim got the production credits on these records, ownership of the means of production & all that. Musicians like Hibbert, Dunbar & Bobby Ellis, arranger & leader of a mighty horn section, were, at first, happy to have the work & to be creative. Ossie did release songs on his own labels & was involved with other producers. He was prolific enough to swap a couple of LPs with The Mighty Two (Joe Gibbs & Errol Thompson) for a car he admired. In 1977 Jo Jo’s brother Phil was shot & killed, understandably distressed he withdrew from the recording desk even leaving the island for a while. Ossie, with a seemingly limitless work ethic, stepped into the vacant producer’s seat. In that first 12 months at the new studio Jo Jo had overseen the release of the first Jamaican 12″ single. “Truly” by the Jays & Ranking Trevor is a mix of a great tune, sweet vocal harmonies, DJ lyrics & a Revolutionaries Dub version all on the same track. He also gave free range to Lester Bullock, a young DJ recording as Dillinger, to make an LP. The resulting “CB200”, smart contemporary wordplay matched to new rhythms, was the sound of the future for DJ toasters. The first wave of Roys & Youths, chatting over sound system favourites, became old school overnight. “Cocaine in my Brain” took the disco funk of “Do It Anyway You Wanna” by People’s Choice as the template for a distinctive modern sound giving the world a new way of spelling New York & Dillinger an international hit. The following year Ossie produced “Take A Dip” for the studio’s new star. It’s based on “Slave Master” by Gregory Isaacs. By the time the Revolutionaries are bubbling on their version of a version there’s a whole different thing going on & it’s a very good thing too. Gregory Isaacs was a star in Jamaica before he came to Channel One. He recorded in all the studios with all the faces. Always his songs, often self-produced. Whether Gregory was inventing Lovers Rock or chanting down Babylon over an insistent, languid groove he did it with convincing, appealing style.”Mr Isaacs”, engineered & co-produced by Ossie, found the ideal mix of romantic & conscious lyrics. When the singer cooled it down the Revolutionaries kept it sweet. The percussive urgency of the rhythm section accented the times when things were more serious. Gregory recorded other tracks with Ossie. “Mr Know It All” became a 10 minute epic over 2 sides of a 12″ single. As much a showcase for Sly Dunbar as the singer this is state-of-the-art business, Gregory & the Revolutionaries at the top of their game. “Gregory Isaacs Meets Ronnie Davis” (1979) is a collection of tunes Ossie produced with both singers & it’s a winner. The brightness of each track is matched by rhythms that need no wheel & come again for the Dub diversion but seamlessly & logically flow into cool & deadly sonic subversion. Still one of the best Reggae LPs. By the end of the 1970s the Revolutionaries were looking beyond the studio. 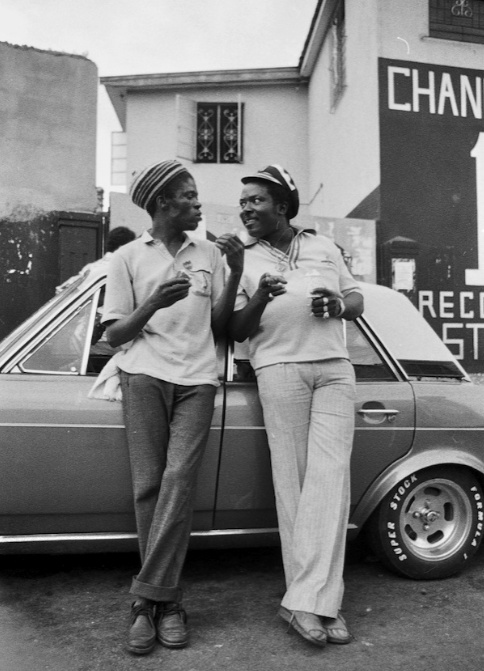 Sly & Robbie toured with Peter Tosh then Black Uhuru while developing their own Taxi label & stable of artists. Gregory, always on top of new rhythms & with a growing eye on the international market, worked with the pair on the “Soon Forward” LP. For 1982’s “Night Nurse” there was a new generation of musicians & producers around. The Roots Radics, their rhythms for & from the Dancehall, provided the soundtrack for this sparse, less roots-based Reggae…another time. Ossie produced “OK Fred”, a UK hit for Errol Dunkley. He continued his independent productions, working with too many artists to name. 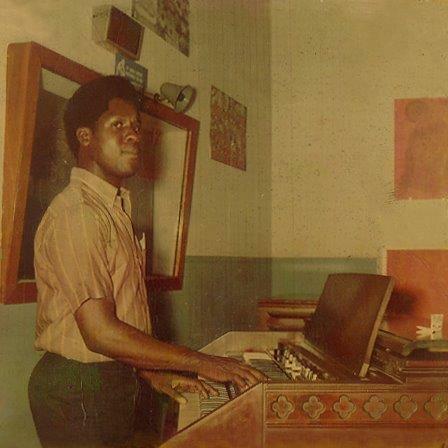 With the Aggrovators & the Revolutionaries his organ shuffles & stabs played a part in the development of Reggae music. His studio expertise & his damned good taste ensured that the advanced recording techniques of Channel One captured a new sound loud & clear, retaining Reggae’s energy & innovation. That makes him a bit of a legend round our way. In 1958 Link Wray & his Ray Men hit big with their instrumental “Rumble“, an incendiary blast of amp-shredding distortion, feedback, vibrato & glissando, “the soundtrack to a knife fight” (Iggy Pop). Link’s guitar-as-a-deadly-weapon approach was influential & inspirational. Bob Dylan said “Rumble” was his favourite instrumental while, in the UK, teenage future guitar heroes Jimmy Page & Pete Townshend wanted to know if they could make this noise for themselves. Despite its Top 20 status Wray’s label Cadence would not release a follow up to “Rumble”, the record had been banned by some radio stations & owner Archie Bleyer wanted to distance himself from that moral panic of Juvenile Delinquency. Link moved to Epic where he continued to hit the spot while the label tried to steer him towards middle of the road guitar trudges through the hits of the day. Swan Records, out of Philadelphia, had leased “She Loves You” from EMI in 1963. The record stiffed on release but sold a million when Beatlemania hit the USA the following year. 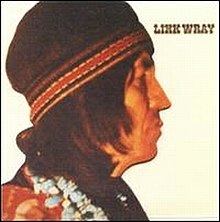 While the label chased another hit they left Link Wray to himself, putting out whatever tracks he sent them. From the “Batman” theme to Dylan covers the Swan years produced some ferocious idiosyncratic music. The garage punk/blues racket of Willie Dixon’s “Hidden Charms” was only a B-side. The money ran out for Swan in 1967. Link, no longer current & considered a one hit wonder, had no label but did have a place to create & record his tunes. Link’s brother Ray had bought a 3 acre place in Accokeek Maryland. His “studio” setup was too loud for the basement so a former chicken coop became Wray’s Shack Three Track, a place where the band could kick back after gigging in the biker clubs of D.C. New tracks from the shack were released on the “Link Wray” LP in 1971 &, at first hearing, they seemed to be a long way from a Rock & Roll Rumble. An Italian producer, Steve Verroca, took the tapes, over-sweetened the country ballads, was a little heavy on the gospel backing vocals & got the LP released on Polydor. The record is a tasty salmagundi of Link’s Southern Shawnee roots. There are some great songs &, while the guitar amp is not turned up to 11, the solos still sting. This may have been a change of direction but there is a keep it simple, Rock & Roll heartbeat which will get you in the end. The record’s range & maturity places it in some good contemporary company, Bobby Charles, JJ Cale, Leon Russell. When Link lets it fly there’s even a touch of Van Morrison’s “Astral Weeks”. “Falling Rain” has been covered by the Neville Brothers, “Fire & Brimstone by Nick Cave, “Juke Box Mama” has a swampy groove that Creedence Clearwater Revival would have loved to have hit. There’s more, it’s a top record. There was a lot of material coming out of the shack. Later in 1971 “Mordicai Jones”, with vocals by Bobby Howard, featured more terrific guitar work by Link. These 2 LPs made little impact at the time but the rawness & passion has meant that they have aged very well. Discover them & you’ll never bother with the Black Crowes again. Link & brother Ray relocated to Arizona & for the next record Polydor got him out to San Francisco in a proper studio with a producer, a heavy guest list & everything. “Be What You Want To” (1972) is a little over-produced by Thomas Jefferson Kaye (soon to be involved with Gene Clark’s “No Other”, a masterpiece). Link felt sidelined by the use of session men including Jerry Garcia & Commander Cody’s band. Again the songs are strong & Link’s individual voice, he had lost a lung to tuberculosis, ties the whole thing together. While in the Bay Area Link hooked up with John Cipollina, formerly of Quicksilver Messenger Service. He borrowed the rhythm section from Cipollina’s current band Copperhead & played gigs with John as a guest. The title track of “Be What…” has heart & soul, this live version has a bite that’s missing from the record. Similarly “You Walked By”, recorded with a straight Country backing, becomes an expansive, Classic Rock epic when played onstage. It’s a good record but maybe Link should have been given more time to see just how those songs could go before recording them. So the shack days were over but Mr Verroca had “kept” a bagful of tapes which he brought to Virgin Records, a new British label with a pile of “Tubular Bells” money & a shortage of material to release. “Beans & Fatback” (1973) is the real basic deal. Some of the tracks are unfinished jams but what it lacks in polish is covered by a raw, passionate immediacy. I’m not sure how the blistering “I’m So Glad, I’m So Proud” had missed the cut on the previous LPs because it’s as good a thing as a thing can get ! There were plenty of musicians chasing this blend of Country rhythm & Blues roots. The 3 Wray brothers & their shack mates had the loose energy that the Stones wanted on “Exile on Main Street”. I don’t think that Link had much to do with the release of this album, Virgin kept him sweet by recording an LP in the UK in 1975. Whatever the circumstances “Beans & Fatback” is a terrific LP to have around. Link was busy for the rest of the 1970s. A hook up with rockabilly revivalist Robert Gordon produced 2 records & international tours. After meeting his 4th wife he moved to Denmark & was quiet for a decade. Inevitably his early recordings were compiled & re-released, using “Rumble” as the selling point, introducing a new audience to the wildest badass guitar music of its time. His deserved reputation is based on his instrumental ability. While die-hard Rock rebels may disagree, the music Link created when he got back to the shed at the bottom of the garden, his hippie years, endures as an outstanding example of a rock & roller going back to his roots, retaining the vigour & imagination that he started out with.The switchblade may have been put away but Link was never taking off his leather jacket.